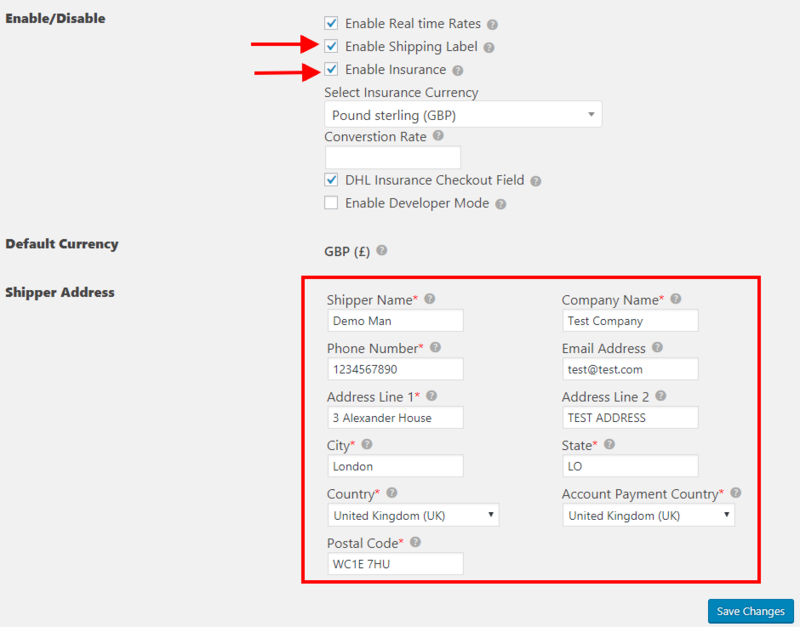 Home / How to Generate Correct Express Waybills with ELEX WooCommerce DHL Shipping Plugin? ELEX WooCommerce DHL Express / eCommerce / Paket Shipping Plugin with Print Label helps you print a fully compliant waybill for you WooCommerrce store. A waybill is a document which has the shipping details and instructions which corresponds to the shipment and the contents in it. Additionally, it contains terms of services, origin, and destination for the shipments. The actual document may contain terms like Consignment Consignor, Consignee. But while you use a plugin to create the waybill, you will come across general terms like shipment, sender, receiver respectively. Air waybill, also known as air consignment note is the receipt DHL Express provides to all shipments it sends. These air waybills are available for download from within you WooCommerce dashboard. Let’s explore it in detail. As it is evident from the detailed description above, the waybills created by WooCommerce DHL Shipping Plugin is complete in all aspects of domestic or international shipping. Now let’s explore the sections in the plugin you need to set up so that you get all the required information on the labels. The labels you generate, have the information provided in these sections. Some of these can be edited from the order overview page while you create a shipment. Basically, you can edit any information until you create a particular shipment. The general settings tab has options to enable real-time rates, insurance, and label printing. If you enable live shipping rates, your customers will see DHL shipping rates. You can uncheck this box if you don’t want to show live rates. Disabling real-time rate does not stop you from printing labels. You’ll still have print label option in the order overview page. So, you can show flat rates or free shipping and send the packages with the DHL Labels. DHL provides insurance cover for all packages it ships across the globe. Although you need to be aware of situations when insurance is not valid. If you are providing insurance cover for packages, it appears on the label that you print. You are recommended to mention the value of the package, as this value becomes the basis of the amount of cover. You can enter the shipment value with the package content description. This acts as your billing address with the DHL. Any offline communication is done to this address. If you request a pickup, DHL picks packages from this address. This becomes the feed for the origin section in the label. In this case, London acts as the origin. The contact detail that you mention here appears on the label too. So you should be careful while entering these details. You should note that DHL does not ship products based on Postal Codes, rather it requires the complete address and contact details of the receiver. In this tab, you have the delivery time, Break Down of Shipping charges and the list of services that you choose for shipping the packages. All these information appear on the labels. If you want to show the delivery time on the label enable this option by checking the box. Further, the shipping service you want to offer to your customers are available in the form of a table. You can activate each service by checking the corresponding boxes. 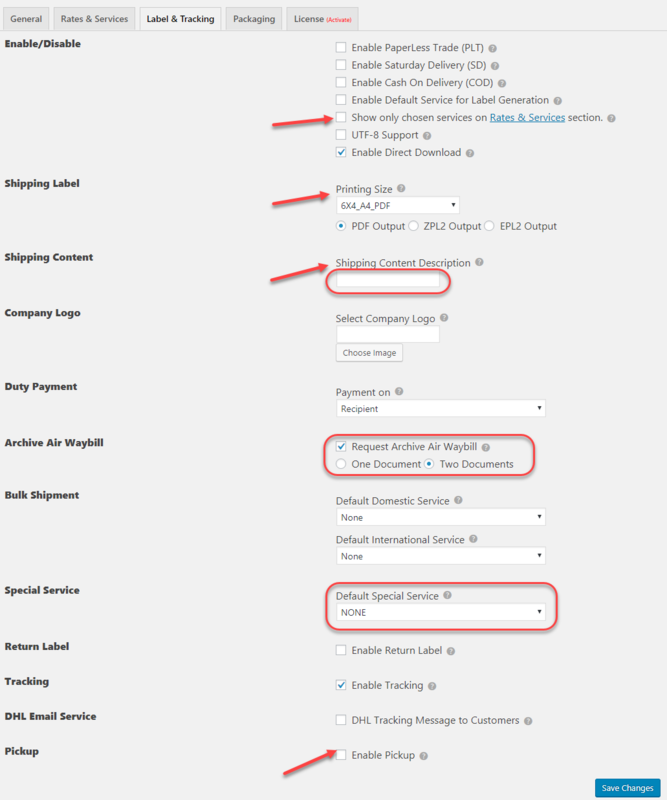 Even if you don’t select the box, you can choose to create shipment using that service form the order overview page. In this case, your customer will not see the service you don’t choose. This tab is dedicated to Label and Tracking options. Show chosen services- In the rates and services tab, you get to select the services you want to offer to your customers. 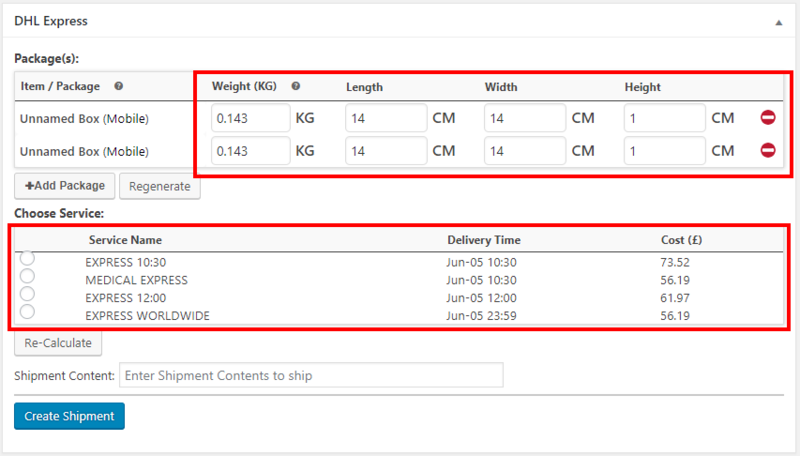 In label and tracking settings you can enable the availability of only those services while shipment creation and label creation. 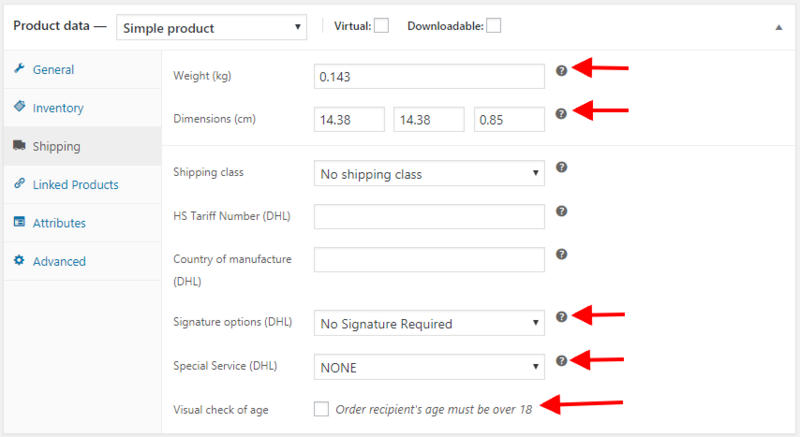 You need to enable the start with select the size and format of the shipping label. Next, update the shipping content description. It should include the details of the content and you can declare the total value of the contents here. This is helpful when you go for your insurance claims. You also get an option to archive air waybills. Enable Pickup- This allows you to assign the person who is going to pick up the parcel at the destination. You are asked to enter the name, contact detail, time of pickup, and the number of days you want DHL to hold the parcel. This information appears on the label as the receiver’s address. A lot of information from the individual product data is copied to the waybill for DHL. First off the weight and dimension of the product is important if the item is to be packed separately. Otherwise, the weight and dimension here are used to pack these items into boxes. So be as accurate as you can be while updating the weight and dimensions of individual products. Next set of information is for dangerous items. If the item is dangerous, you can select the ‘special service’ that include that item. Finally, the signature and visual age check appear on the labels for these products. You just have to enable these options at the product label. In the order overview page, you create shipments and store all order data. Being an admin you can edit most of the information here. The arrows in red show few edits that affect the labels you print. First, if you want to change the date of shipment creation, change it here. You can also make changes to the address entered by your customers. If you get errors based on wrong addresses you can make slight changes to them here. Further, you have DHL related changes that you can make. Before you create the shipments, you can change the box dimensions, weights or add extra boxes here. You can make similar changes to DHL e-Commerce and DHL Paket too. You can also change the service to be used here. The selected option appears on the label you create after the changes. 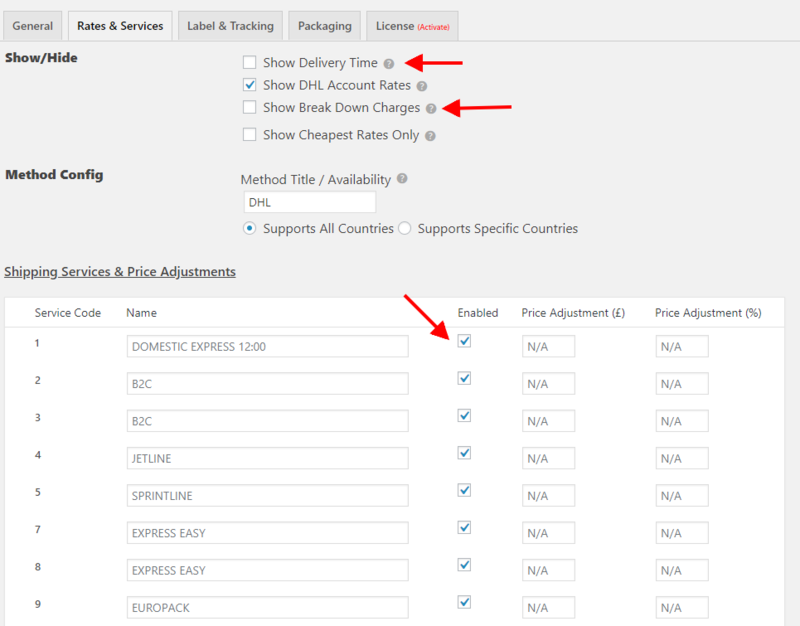 As you saw, you can edit most of the information that appears on the waybills printed by ELEX WooCommerce DHL Shipping Plugin. So go through the article again and again until you think you have got it right. Integrating DHL services to your WooCommerce store can boost your shipping abilities. It increases the capacity of packages you can handle at least available time. A timely delivery is going to ensure customer satisfaction. Features like return label and enabling signature on delivery of the product add peace of mind to you and your customers. So we recommend using WooCommerce DHL Shipping Plugin for all your shipping needs. Visit the product page for more information. Or contact our Online Support for any technical issues or pre-sales queries. Happy Selling!